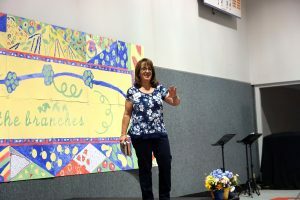 This year’s speaker, Dr. Terri Stovall, shared a unique approach to the familiar scripture of the Lord’s Prayer. By applying expository teaching principles, Dr. Stovall took the diverse audience of bay area women through a detailed analysis of a scripture most of us take for granted. 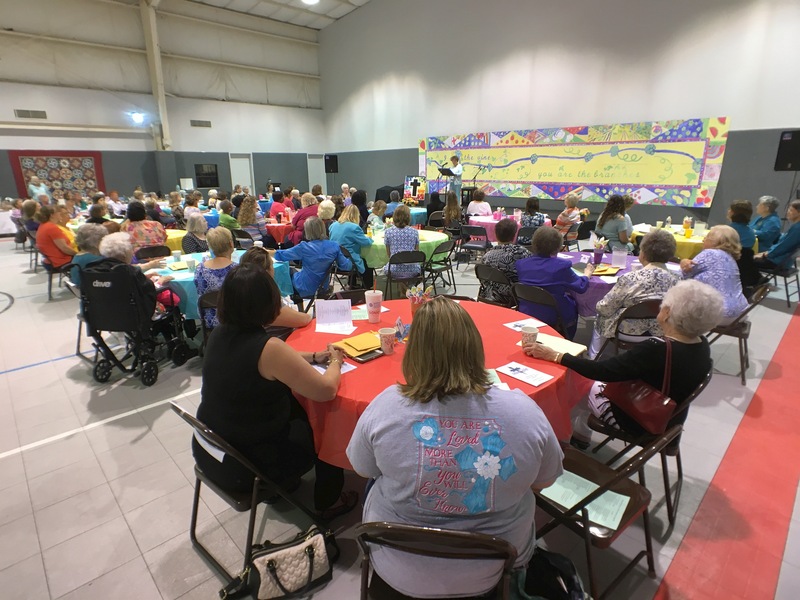 Because of Dr. Stovall’s approach, those in attendance were able to gain new meaning and appreciation for one of the most familiar passages in God’s Word. The subject of forgiveness as it relates to forgiving ourselves was also a key topic and was well received by the audience. Many were blessed and challenged by the message. 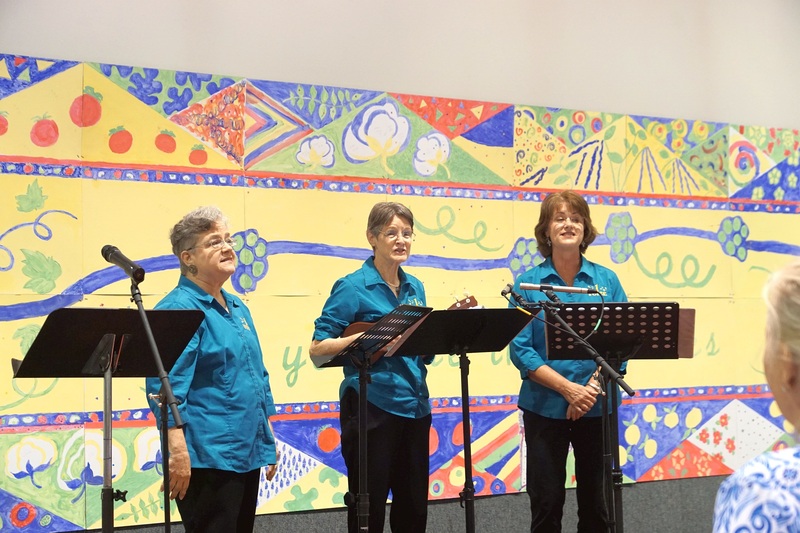 MC, Kalaya Riccio, guided the women throughout the program of teaching, music and sharing the Word of God. 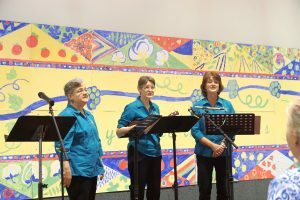 Well known music vocal trio, One Voice, provided several selections that were appreciated by the crowd. One of the highlights of the morning was the introduction of former Palacios resident Debby Webb. Debby took a few moments to share about the upcoming Real Women/Real Lives Community Bible Study, which will start on May 20, 2017. The study is sponsored by Patchwork, will be held one Saturday each month and will be taught by Debby Webb. This year’s conference featured the best door prizes ever. Among these were a hand-quilted wall hanging by Palacios Master Quilter, Dianna Michalik, a unique sea shell wreath donated by the Palacios Prescription Shoppe, as well as several other items. Our thanks go out to all the women who volunteered their time to make this year’s conference a success.